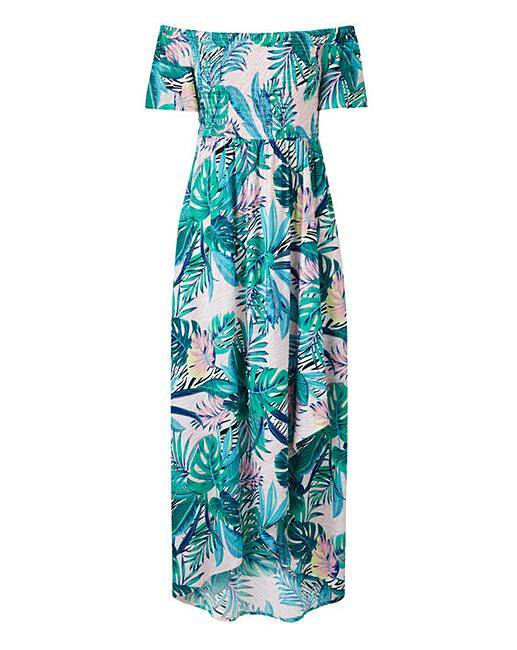 A stunning addition to your SS19 wardrobe, the Palm Print Crinkle Shirred Maxi Dress is here! The classic maxi dress has been updated featuring a stunning cold-shoulder Bardot neckline and flattering wrap front. Made from a breathable crinkle fabric that's adorned in a gorgeous green and pink palm print, you'll be sure to not only look but feel amazing too this summer. This elegant dress can be dressed up or down whatever the occassion.